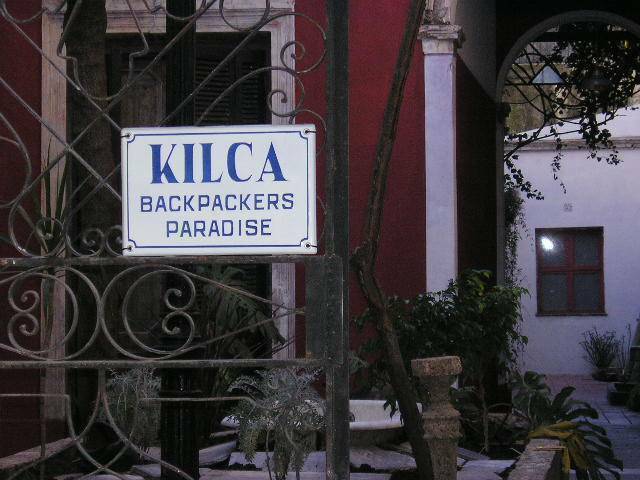 Be welcome to KILCA Hostel & Backpacker were time seems to dissapear. Our location is in Montserrat neighbourhood, 3 blocks from av. 9 de Julio, very close to Congreso, Obelisco and San Telmo. Bars and restaurants nearby, also shops. The 19th century house offers a nice and well kept place to stay, have fun, meet people and make friends; full of history before and with the right atmosphere for you to introduce the city. While you enter through the house a great garden surrounded with plants will take you inside KILCA point. Taste good Healthy brakfast included with coffee, tea or argentine mate, milk, bread, cereals, fruits, dulce de leche, and pies. Wi fi internet access in the house and bar in the lobby. Luggage storage and no smoking areas. Travel info for tours and free walkinkg rides available. 40 minutes car from de international airport, you can arrive the hostel with local subway linea C, Independencia station or Moreno 5 minutes; linea A, Saenz Peña station, 3 minutes. all the buses travelling near the hostel. 25 minutes fom local airport.